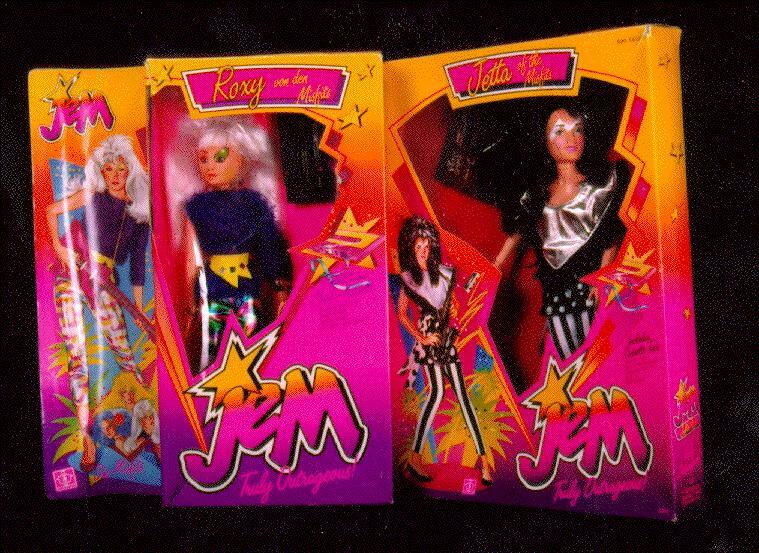 2 NRFB JEM dolls: on left: Roxy doll from Germany. On right, Jetta doll NRFB. Copyright © 1995-2001 Matt Saettler/Lisa Sheets. All rights reserved.